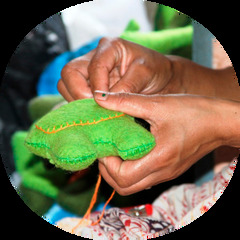 Handmade in Nepal using hand-felting technique. Peace, love, and holiday spirit. Ornament measures 4"x 3".